^ 3.0 3.1 3.2 Turner, p.31. ^ 4.0 4.1 Warren, p.26. ^ McLynn, p.78, 94; Turner, p.30. ^ 10.0 10.1 10.2 10.3 10.4 10.5 Turner, p.36. ^ Carpenter (2004), p.223; Turner, p.35. ^ 12.0 12.1 Carpenter (2004), p.223. ^ 14.0 14.1 14.2 14.3 14.4 14.5 14.6 Turner, p.37. ^ 15.0 15.1 Warren, p.35. ^ 17.0 17.1 Warren, p.37. ^ 20.0 20.1 20.2 20.3 Warren, p.38. ^ 26.0 26.1 26.2 Warren, p.43. ^ 27.0 27.1 Warren, p.44. ^ 28.0 28.1 Warren, p.45. ^ 29.0 29.1 Warren, p.46. ^ 31.0 31.1 31.2 31.3 Warren, p.47. ^ 36.0 36.1 Turner, p.98. ^ 37.0 37.1 Warren, p.55. ^ 41.0 41.1 41.2 41.3 41.4 Turner, p.100. ^ 43.0 43.1 Warren, p.83. ^ 45.0 45.1 45.2 45.3 45.4 45.5 Turner, p.101. ^ Holt (1984), p.94; Turner, p.94; Bradbury (1998), p.159; Moss, p.119. ^ 48.0 48.1 48.2 48.3 48.4 48.5 48.6 48.7 Turner, p.102. ^ Carpenter (2004), p.273, after Holt (1961). ^ Turner, pp.173–4; Holt (1961), p.100. ^ 60.0 60.1 Carpenter (2004), p.286. ^ Carpenter (2004), p.286; Warren, p.221. ^ 62.0 62.1 Warren, p.222. ^ 63.0 63.1 63.2 Warren, p.224. ^ 65.0 65.1 Turner, p.178. ^ 69.0 69.1 69.2 69.3 Turner, p.180. ^ 73.0 73.1 Turner, p.189. ^ 75.0 75.1 75.2 Turner, p.190. ^ 76.0 76.1 Turner, p.192. ^ Turner, p.191; Barlow, p.354. ^ Turner, p.192引用Brown, pp.10–11; Turner, p.193. ^ 81.0 81.1 81.2 81.3 81.4 Turner, p.193. ^ 82.0 82.1 82.2 Duncan, p.267. ^ 83.0 83.1 Turner, pp.191–2. ^ 85.0 85.1 Turner, p.194. ^ Turner, p.194; Warren, p.253. ^ 87.0 87.1 Warren, p.253. ^ Turner, p.194; Duncan, p.267; Warren, p.253. ^ McLynn, p.455; Warren, p.253. ^ Fryde, Greenway, Porter and Roy, p.37. ^ Warren, p.255; McLynn, p.460. ^ Danziger and Gillingham, p.270. Aberth, John.（2003）A Knight at the Movies: Medieval History on Film. London: Routledge. ISBN 978-0-415-93886-0. Barlow, Frank.（1999）The Feudal Kingdom of England, 1042–1216. Harlow, UK: Pearson Education. ISBN 0-582-38117-7. Barrett, Nick.（2007）"The Revenues of King John and Philip Augustus Revisited," in Church (ed) 2007. Bartlett, Robert.（2000）England Under the Norman and Angevin Kings: 1075–1225. Oxford: Clarendon Press. ISBN 0-19-822741-8. Bevington, David.（2002）"Literature and the theatre," in Loewenstein and Mueller (eds) 2002. Bolton, J. K.（2007）"English Economy in the Early Thirteenth Century," in Church (ed) 2007. Bradbury, Jim.（1998）Philip Augustus, King of France 1180–1223. London: Longman. ISBN 978-0-582-06058-6. Bradbury, Jim.（2007）"Philip Augustus and King John: Personality and History," in Church (ed) 2007. Brown, Reginald Allen.（1989）Rochester Castle: Kent. London: English Heritage. ISBN 978-1-85074-129-9. Carpenter, David.（1996）The Reign of Henry III. London: Hambledon Press. ISBN 978-1-85285-137-8. Carpenter, David.（2004）Struggle for Mastery: The Penguin History of Britain 1066–1284. [永久失效連結] London: Penguin. ISBN 978-0-14-014824-4. Church, Stephen D.（1999）The Household Knights of King John. [永久失效連結] Cambridge: Cambridge University Press. ISBN 978-0-521-55319-3. Church, Stephen D.（ed）（2007）King John: New Interpretations. Woodbridge, UK: Boydell Press. ISBN 978-0-85115-947-8. Churchill, Winston.（1958）A History of the English-Speaking Peoples, Volume 1. London: Cassell. OCLC 634802587. Curren-Aquino, Deborah T.（1989a）"Introduction: King John Resurgent," in Curren-Aquino (ed) 1989b. Curren-Aquino, Deborah T.（ed）（1989b）King John: New Perspectives. Cranbury, US: University of Delaware Press. ISBN 978-0-87413-337-0. D'Ammassa, Don.（2009）Encyclopedia of Adventure Fiction: the Essential Reference to the Great Works and Writers of Adventure Fiction. New York: Facts on File. ISBN 978-0-8160-7573-7. Danziger, Danny and John Gillingham.（2003）1215: The Year of the Magna Carta. London: Coronet Books. ISBN 978-0-7432-5778-7. Duffy, Sean.（2007）"John and Ireland: the Origins of England’s Irish Problem," in Church (ed) 2007. Duncan, A. A. M.（2007）"John King of England and the King of the Scots," in Church (ed) 2007. Dyer, Christopher.（2009）Making a Living in the Middle Ages: The People of Britain, 850 – 1520. London: Yale University Press. ISBN 978-0-300-10191-1. Elliott, Andrew B. R.（2011）Remaking the Middle Ages: The Methods of Cinema and History in Portraying the Medieval World. Jefferson, US: McFarland. ISBN 978-0-7864-4624-7. Fryde, E. B., D. E. Greenway, S. Porter and I. Roy (eds)（1996）Handbook of British Chronology, third edition. Cambridge: Cambridge University Press. ISBN 0-521-56350-X. Fryde, Natalie, Pierre Monnet and Oto Oexle.（eds）（2002）Die Gegenwart des Feudalismus. Göttingen, Germany: Vandenhoeck and Ruprecht. ISBN 978-3-525-35391-2. Fryde, Natalie.（2007）"King John and the Empire," in Church (ed) 2007. Galbraith, V. H.（1945）"Good and Bad Kings in English History," History 30, 119–32. Gillingham, John.（1994）Richard Coeur de Lion: Kingship, Chivalry, and War in the Twelfth Century. London: Hambledon Press. ISBN 978-1-85285-084-5. Gillingham, John.（2007）"Historians without Hindsight: Coggshall, Diceto and Howden on the Early Years of John's Reign," in Church (ed) 2007. Given-Wilson, Chris.（1996）An Illustrated History of Late Medieval England. Manchester: Manchester University Press. ISBN 0-7190-4152-X. Harper-Bill.（2007）"John and the Church of Rome," in Church (ed) 2007. Harris, Jesse W.（1940）John Bale, a study in the minor literature of the Reformation. Urbana, US: Illinois Studies in Language and Literature. Hodgett, Gerald.（2006）A Social and Economic History of Medieval Europe. Abingdon, UK: Routledge. ISBN 978-0-415-37707-2. Holt, James Clarke.（1961）The Northerners: A Study in the Reign of King John. Oxford: Oxford University Press. OCLC 862444. Holt, James Clarke.（1963）King John. London: Historical Association. OCLC 639752123. Holt, James Clarke.（1984）"The Loss of Normandy and Royal Finance," in Holt and Gillingham (eds) 1984. Holt, James Clarke and John Gillingham (eds)（1984）War and Government in the Middle Ages: Essays in Honour of J. O. Prestwich. Woodbridge, UK: Boydell Press. ISBN 978-0-389-20475-6. Hunnisett, R. F.（1961）The Medieval Coroner. Cambridge: Cambridge University Press. OCLC 408381. 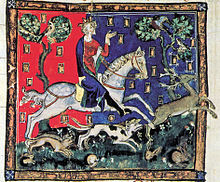 Huscroft, Richard.（2005）Ruling England, 1042–1217. Harlow, UK: Pearson. ISBN 0-582-84882-2. Inwood, Stephen.（1998）A History of London. London: Macmillan. ISBN 978-0-7867-0613-6. Johnson, Hugh.（1989）Vintage: The Story of Wine. New York: Simon and Schuster. ISBN 0-671-68702-6. Jordan, William Chester.（1991）"Isabelle d'Angoulême, by the Grace of God, Queen," in Revue belge de philologie et histoire, 69, 821–852. Lawler, John and Gail Gates Lawler.（2000）A Short Historical Introduction to the Law of Real Property. Washington DC: Beard Books. ISBN 978-1-58798-032-9. Loewenstein, David and Janel M. Mueller.（eds）（2002）The Cambridge History of Early Modern English Literature. Cambridge: Cambridge University Press. ISBN 978-0-521-63156-3. Maley, Willy.（2010）"'And bloody England into England gone': Empire, Monarchy, and Nation in King John," in Maley and Tudeau-Clayton (eds) 2010. Maley, Willy and Margaret Tudeau-Clayton.（eds）（2010）This England, That Shakespeare: New Angles on Englishness and the Bard. Farnham, UK: Ashgate Publishing. ISBN 978-0-7546-6602-8. Mason, Emma.（2008）King Rufus: The Life and Murder of William II of England. Stroud, UK: The History Press. ISBN 978-0-7524-4635-6. McEachern, Claire.（2002）"Literature and national identity," in Loewenstein and Mueller (eds) 2002. McLynn, Frank.（2007）Lionheart and Lackland: King Richard, King John and the Wars of Conquest. London: Vintage Books. ISBN 978-0-7126-9417-9. Moss, V. D.（2007）"The Norman Exchequer Rolls of King John," in Church (ed) 2007. Norgate, Kate.（1887）England Under the Angevin Kings, vol. 2. London: Macmillan. OCLC 373944. Norgate, Kate.（1902）John Lackland. London: Macmillan. OCLC 1374257. Poole, Stephen.（1993）From Domesday Book to Magna Carta 1087–1216. Oxford: Oxford University Press. ISBN 0-19-285287-6. Potter, Lois.（1998）Playing Robin Hood: the Legend as Performance in Five Centuries. Cranbury, US: University of Delaware Press. ISBN 978-0-87413-663-0. Power, Daniel.（2007）"King John and the Norman Aristocracy," in Church (ed) 2007. Ramsay, James Henry.（1903）The Angevin Empire. London: Sonnenschein. OCLC 2919309. Richardson, Douglas.（2004）Plantagenet Ancestry: a Study in Colonial and Medieval Families. Salt Lake City: Genealogical Publishing. ISBN 978-0-8063-1750-2. Rowlands, Ifor W.（2007）"King John and Wales," in Church (ed) 2007. Scott, Walter.（1998）Ivanhoe. Edinburgh: Edinburgh University Press. ISBN 978-0-7486-0573-6. Stenton, Doris Mary.（1976）English Society in the Early Middle Ages（1066–1307）. Harmondsworth, UK: Penguin. ISBN 0-14-020252-8. Tulloch, Graham.（1988）"Historical Notes," in Scott (1998). Turner, Ralph V.（2009）King John: England's Evil King? Stroud, UK: History Press. ISBN 978-0-7524-4850-3. Vincent, Nicholas.（2007）"Isabella of Angoulême: John's Jezebel," in Church (ed) 2007. Warren, W. Lewis.（1991）King John. London: Methuen. ISBN 0-413-45520-3.